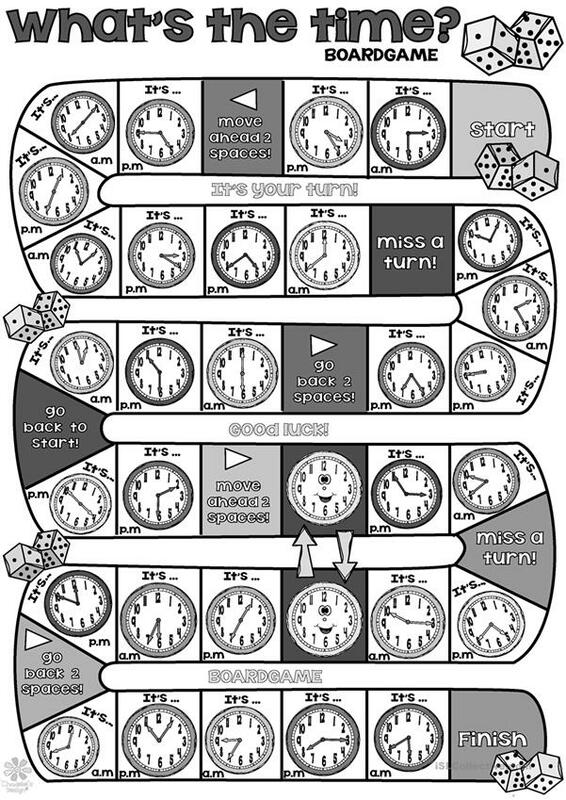 What´s the time BOARDGAME - You need small pieces of paper and a dice. Groups of two or four students. Throw the dice and say the time according to the clocks in the square. If some students fall in the "happy clock", then they have to move their pieces to the following. The winner will be the first who reaches the finish! Enjoy! Thank you. Cha. The present downloadable handout is recommended for high school students and elementary school students at Beginner (pre-A1) and Elementary (A1) level. It features the theme of Time.